David Brooks – reporter for the Telegraph of Nashua. He writes the "Granite Geek" column and has written several articles on Lyme disease. Alan Eaton – UNH Cooperative Extension Entomologist and Integrated Pest Management (IPM) Specialist. Alan has been studying ticks and Lyme disease in New Hampshire for two decades. NHPR environment reporter Sam Evans-Brown reported on this year's tick population: "Lyme risk is high right now because tick nymphs – the young form of the insect – are active, and because they are about the size of a poppy seed, they are really hard to see. 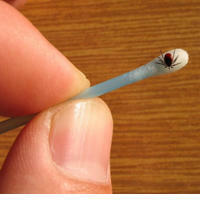 There may be more ticks this year because a blanket of snow kept them not so much from freezing, but from drying out." An infographic from NHPR's Sara Plourde: "With tick season in full swing - and this year being described as the worst in recent history - the risk of tick bites and tick-borne infection is high. Read through the graphic below to learn more about ticks, the infections they can carry, and how to prevent being infected yourself." David Brooks' article on Lyme disease vaccines: "exaggerated concern about the vaccine’s side effects, the byproduct of a debate about “chronic Lyme disease” that continues to this day, produced poor sales that led the manufacturer to abandon the business in 2002"
Interview on Fresh Air with Michael Specter, author of the 2013 New Yorker article "The Lyme Wars": "The other problem that I think is even more pernicious is that some people get treated, and they don't get better. And this is not a large percent, but with the disease, it's growing. Five percent is a bunch of people, and they have tremendous problems. I mean, I've run into so many sort of devastated people who tried everything, who took the antibiotics, who tried all sorts of other both recommended and not recommended approaches, and they don't get better." Lyme disease information from the National Institutes of Health: Important facts about tick bites and Lyme disease: In most cases in the U.S., a tick must be attached to your body for 24 - 36 hours to spread the bacteria to your blood. 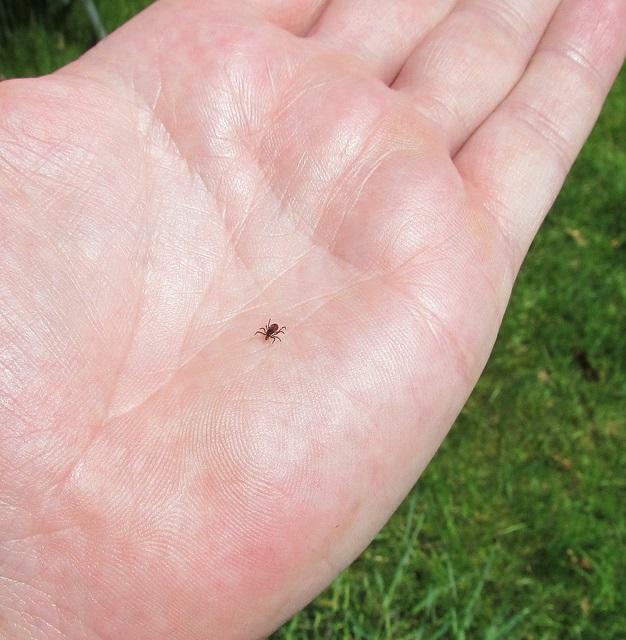 Ticks that cause Lyme disease in Europe transmit the bacteria more quickly, within 24 hours; Blacklegged ticks can be so small that they are almost impossible to see. Many people with Lyme disease never even see or feel a tick on their body; Most people who are bitten by a tick do not get Lyme disease. Tick season is upon us once again, and New Hampshire health officials are advising people to wear insect repellent and protective clothing to avoid being bitten by them and potentially exposed to Lyme disease. 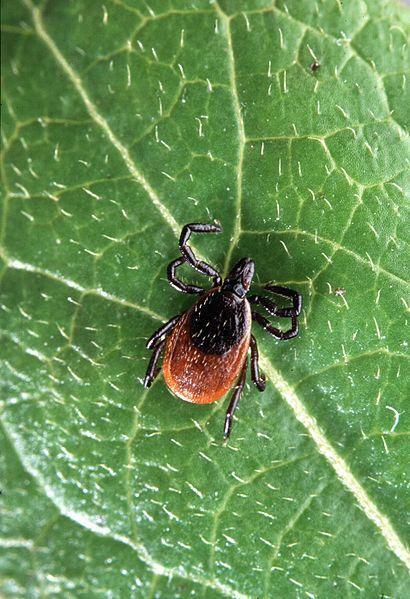 The Department of Health and Human Services says in 2013, 1,689 cases of Lyme disease were identified in the state, with the highest rates of disease in Hillsborough, Rockingham, and Strafford counties. 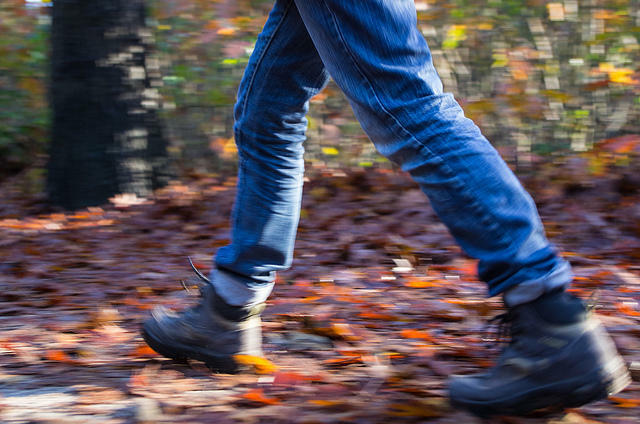 The greatest risk for Lyme disease is between May and August. Symptoms include fever, headache, fatigue, and a bulls-eye-like rash. With tick season in full swing - and this year being described as the worst in recent history - the risk of tick bites and tick-borne infection is high. Read through the graphic below to learn more about ticks, the infections they can carry, and how to prevent being infected yourself. A surge in occurrence of Lyme disease is predicted for the Eastern U.S. three years after bumper acorn crops in 2009 and 2010 and following virtually NO acorns last autumn in 2011. Why is that? How do acorn crops influence rates of human illness? Oak forests demonstrate the ecological ripple effects when bumper acorn crops cause a population boom in mice which translates into an increase in ticks and a delayed-onset spike in reported cases of human Lyme disease. New Hampshire - Crawling With Ticks? Here's a dubious Granite State superlative: New Hampshire has the third highest incidence of Lyme disease in the country following Delaware and Connecticut! Southern New Hampshire is prime tick habitat. Deer ticks - not dog ticks - are THE vector for human Lyme disease. Two-toned solid colored deer ticks, also called "black-legged ticks" are smaller than familiar mottled brown dog ticks.